(by Julian Ryall, Daily Telegraph) Tokyo — The joint US-South Korean exercises scheduled for March will be largest military drills ever staged on the Korean Peninsula and are both a warning to Pyongyang and an effort to reassure the jittery public in the South. The parallel Key Resolve and Foal Eagle exercises are scheduled to commence on March 7, with the field-training exercises that make up Foal Eagle lasting until April 30. The drills will involve 15,000 US troops, twice the number of previous years, and will serve to demonstrate Washington’s firepower. The US will deploy a combat aviation brigade to South Korea for the duration of the maneuvers, as well as a mobile US Marine brigade, an aircraft carrier and its attendant fleet, a nuclear-powered submarine and aerial tankers to refuel fighter aircraft. In an additional shot across Pyongyang’s bows, the drills will for the first time simulate scenarios in which the regime of Kim Jong-un, the North Korean leader, has collapsed. The multiple-stage exercises will require the US and South Korean forces to react to war breaking out, operations in and around Pyongyang and the recovery of “key facilities that are located deep within North Korea,” a Defense Ministry official told The Korea Herald. 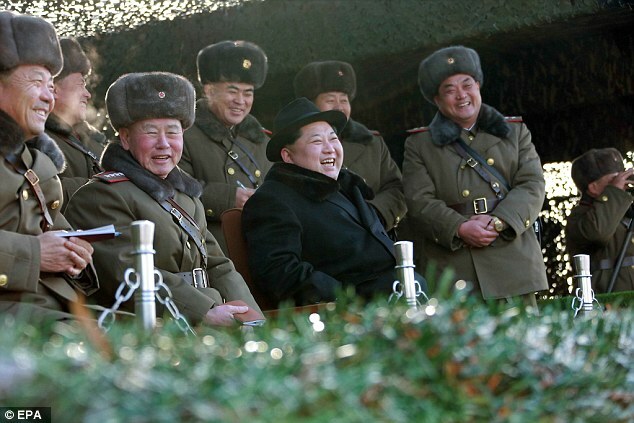 North Korea’s two rocket facilities are in the far north of the country, while analysts believe that many of its military assets are also concealed in networks of tunnels and bunkers close to the Chinese border. This year’s amphibious maneuvers – known as the Ssangyong exercises – will be larger and more elaborate than ever before, with 7,000 US troops practicing coming ashore aboard Osprey tilt-rotor aircraft and from landing craft from the USS New Orleans. “Recent events here have made South Korean people feel a little insecure, especially the rapid development of the North’s nuclear and missile programs, so the exercises are a welcome sign of Washington’s guarantee of the alliance,” he told The Telegraph. 2. a) What are the dates for the upcoming joint US-South Korean military exercises? b) How many US troops will take part in the exercises? c) What US military equipment will be deployed for the exercises? 3. What is the purpose of the exercises? Be specific. 4. How many South Korean troops will take part in the exercises? How does this differ from previous years? 5. a) Define simulate as used in the article. b) What will the drills simulate? Be specific. 6. What weapons tests has North Korea just concluded? 7. What are the Ssangyong exercises? How will this year’s differ from previous years? How does the reporter refer to the North Korean government? Foal Eagle is a combined Field Training Exercise (FTX) conducted annually by the Republic of Korea Armed Forces and the U.S. Armed Forces under the auspices of the Combined Forces Command. It is one of the largest military exercises conducted annually in the world. The primary purpose of Foal Eagle is to demonstrate South Korean-U.S. military resolve to deter war on the Korean peninsula and to improve the combined and joint operational posture of those forces. Foal Eagle is a purely defensive exercise which tests the capability of South Korea to defend itself, assisted by the U.S. Armed Forces, and it is also primarily a rear area security and stability operations, onward movement of critical assets to the forward area, special operations, ground maneuver, amphibious operations, combat air operations, maritime action group operations and counter special operations forces exercises (CSOFEX). 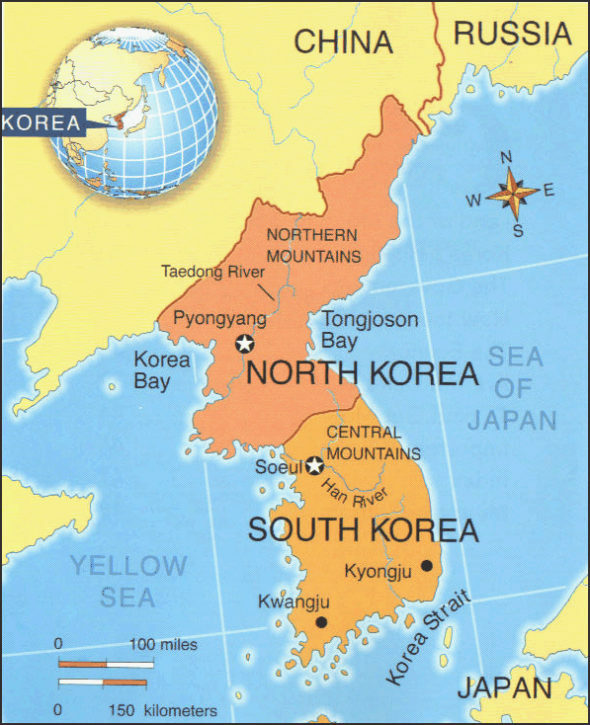 The UN Command informs the North Korean People’s Army that South Korea and the U.S. will be conducting the exercise. The UN Command also reassured the Korean People’s Army at general officer-level talks that these exercises, conducted annually in or around March, are purely defensive in nature and have no connection to ongoing or current events. The Neutral Nations Supervisory Commission monitors the exercise to ensure that there are no violations of the Korean Armistice Agreement. Since 2001, Foal Eagle combined with the annual American-South Korean Reception, Staging, Onward movement, and Integration (RSOI) combined exercises, with RSOI being renamed Key Resolve in 2008. 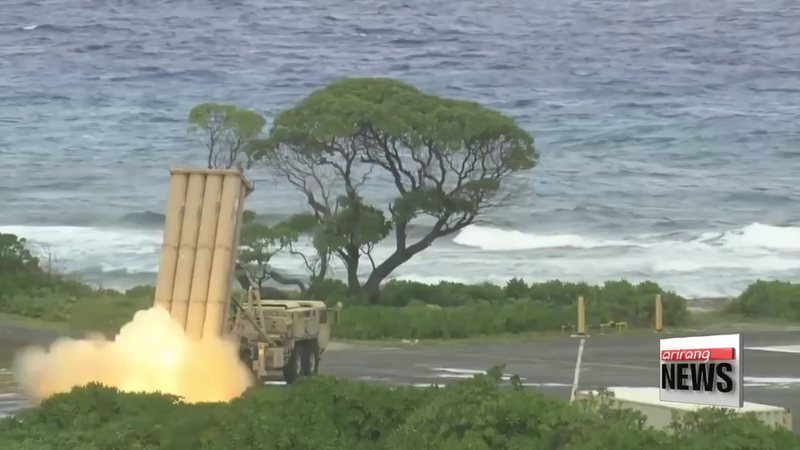 U.S. Military weapons gathers on the Korean peninsula as joint exercises looms. 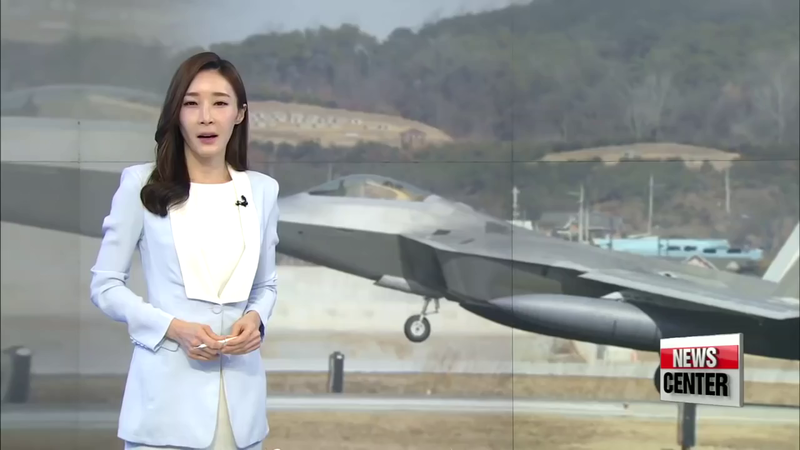 The arrival of the F-22 fighter jets in South Korea has been the latest in a series of moves by the U.S. military after North Korea’s recent provocations. 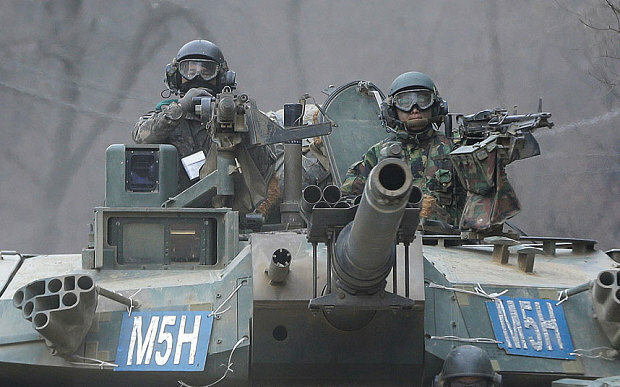 These are all leading up to next month’s joint South Korea-U.S. military drills.